Centrally located Upper Pearl City, 4 bedroom, 2 bath, detached single family home with a level fenced backyard and mature fruit trees. Location is everything, the entire island within reach. Commute conveniently on all major freeways to Honolulu, Mililani, military bases and the west side. New roof, windows, and kitchen completed in 2015. 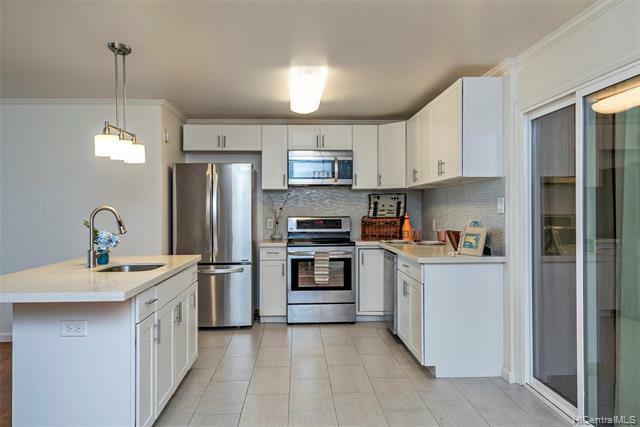 Home features white quartz counter tops, stainless steel appliances and a whole home fan as well as original hardwood floors.